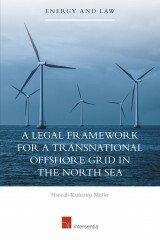 This book examines the legal frameworks applying to offshore grid development under international law, European Union law and national law. It reveals that these legal frameworks have not been developed to facilitate such complex (cross-border) infrastructure. 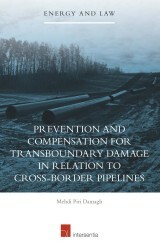 This book contains the latest update of international and regional instruments with respect to prevention and compensation of transboundary damage caused by pipelines. 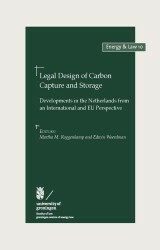 In 2009, the EU adopted one of the first dedicated regulatory frameworks for the deployment of carbon capture and storage (CCS) technology worldwide. 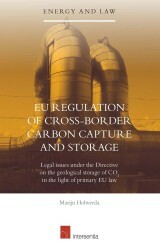 This book analyses the EU regulatory framework for CCS and examines its suitability for facilitating the deployment of CCS in the longer term. 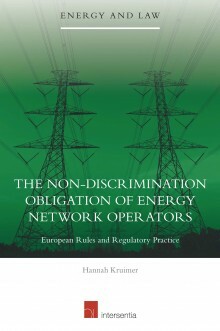 In this book Hannah Kruimer analyses the application of the legal principle of non-discrimination in the context of energy network operation. The European Energy Law Report IX presents an overview of the most important legal developments in the field of EU and national energy and climate change law as discussed at the 24th European Energy Law Seminar in 2011. The European Energy Law Report VIII presents an overview of the most important legal developments in the field of EU and national energy and climate change law as discussed at the 2010 European Energy Law Seminar. The European Energy Law Report VII presents in four parts an overview of the most important legal developments in the field of EU and national energy and climate change law as discussed at the 2009 European Energy Law Seminar. 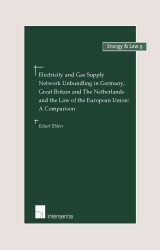 This work analyzes the legality of energy supply network divestiture as threatened by the European Commission and the legislative unbundling measures which entered into force in summer 2009, in each case on the basis of European economic regulation competences. Since the 1990s several attempts have been made to combat climate change. Governments use traditional instruments like the promotion of renewable energy sources and energy efficiency. Since the entry into force of the Kyoto Protocol new instruments have been introduced like international and national emissions trading. The European Energy Law Report VI presents in four parts an overview of the most important legal developments in the field of EU and national energy law as discussed at the 2008 European Energy Law Seminar. The European Energy Law Report V presents an overview of the most important legal developments in the field of EU and national energy law as discussed at the 2007 European Energy Law Seminar. 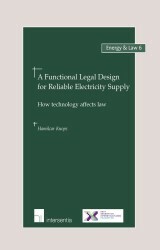 Because of the unusual technical and economic characteristics of electricity markets, their performance is very sensitive to the formulation of the legal framework. Still, a structured approach to formulating the legal framework has not yet been developed. This book meets this demand. The European Energy Law Report IV presents an overview of the most important legal developments in the field of EU and national energy law as discussed at the 2006 European Energy Law Seminar. 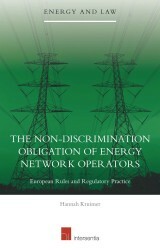 It examines recent developments in EU and National Law affecting the energy sector. The European Energy Law Report III presents an overview of the most important legal developments in the field of EU and national energy law as discussed at the 2005 European Energy Law Seminar. The European Energy Law Report II presents an overview of the most important legal developments in the field of EC and national energy law as discussed at the European Energy Law Seminar in 2004. 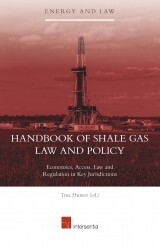 The book covers four different areas of legal development.